Bulk Wine Importation in the U.S. Bulk Wine Importation in the U.S. Bulk Wine Importation in the U.S. The U.S. is the fourth largest bulk wine importer where a significant volume of bulk wine imported to the U.S. and produced on the West Coast goes through wine clubs. 62 percent of U.S. wine buyers spend $8 to $15 per bottle of wines usually supplied by the bulk market. 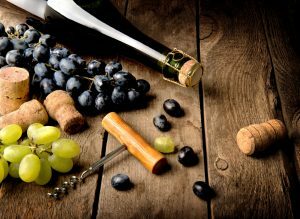 The bulk wine market shifted from a market commonly used to get rid of a product, to a market where products are planned in advance to meet certain targets. According to the World Bulk Wine Exhibition (WBWE), bulk wine shipments increased from 4.5 percent in volume to 9.4 percent in value within the first quarter of 2018. Bulk wine shipments have been valued to $3 billion and it amounts for 40 percent of all wine exported.